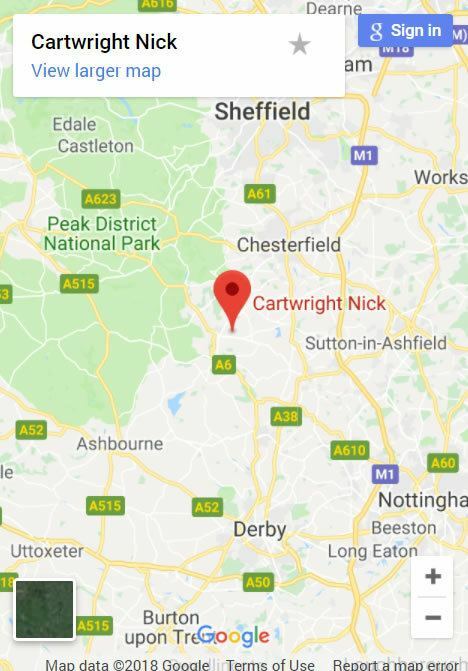 Nick Cartwright’s racing exploits started in the mid nineties when he was persuaded by his friends Bob Houghton, Andrew Turner and the late Robin Mortimer, of MHT, to have a go in the European Ferrari 355 Challenge series. 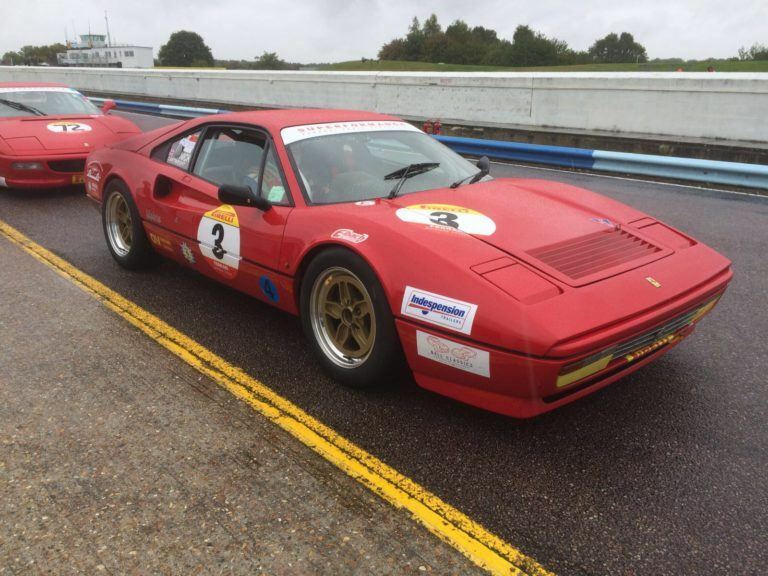 He ran in this Championship for 2 years as well as competing in the Maranello UK Challenge Cup but unfortunately, due to pressures of work, this had to take a back seat. 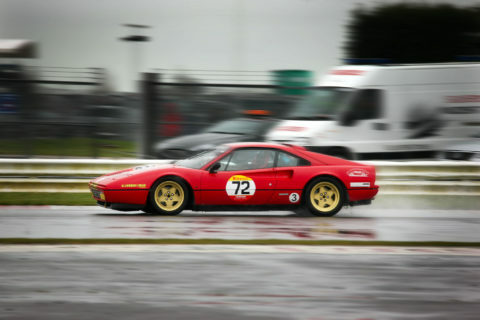 Walking through the paddock at Donington in 2007, at a Pirelli Ferrari classic meeting, something stirred and we asked ourselves ‘ why aren’t we doing this again? Thus, we were back at Donington 6 months later with a 328 GTB at the ready but this time the seat would be taken by Nick’s eldest son Ben. 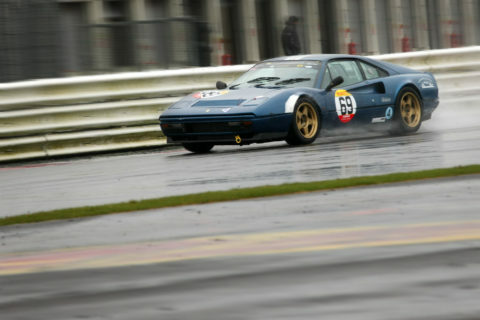 We enjoyed this season so much that the following year Nick and 3rd son Jamie also joined the series to run 328 GTB’s. We have never looked back! Happy 70th Birthday Nick ! 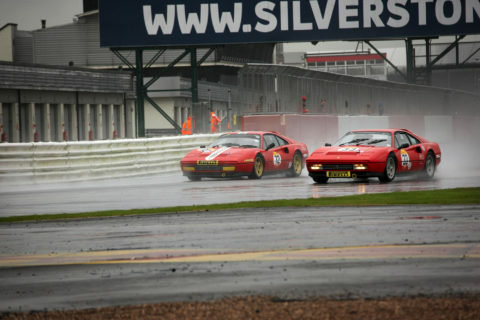 Round 1 of the Pirelli Ferrari Formula Classic at Silverstone. 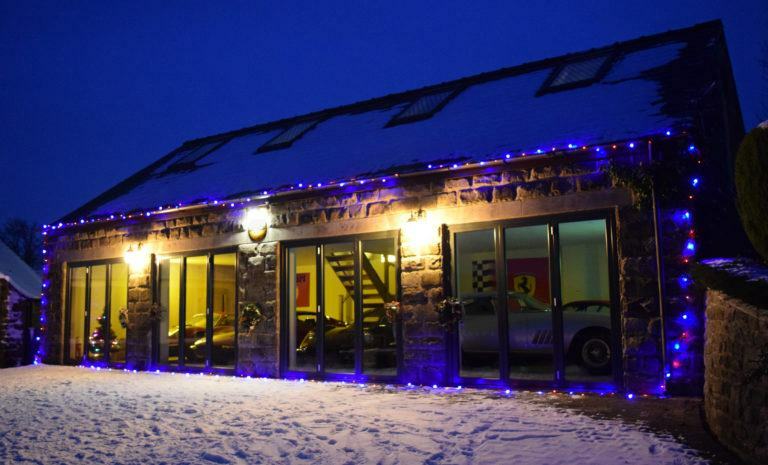 Happy New Year from all at Nick Cartwright Specialist Cars. 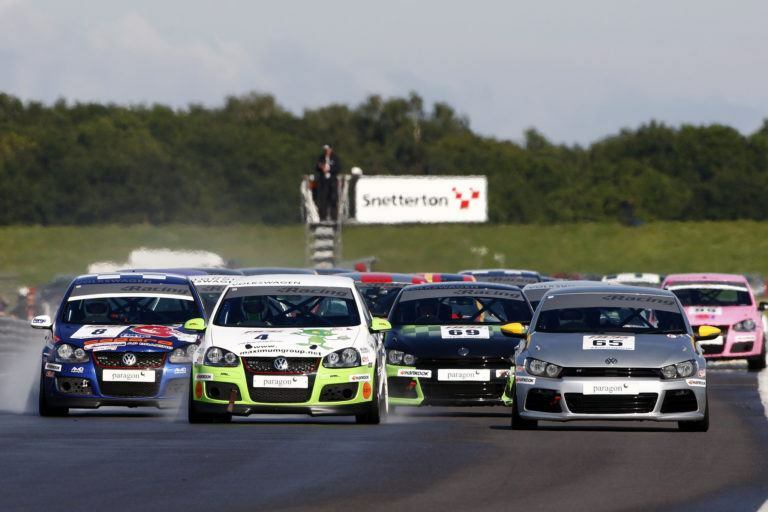 The last round of the 2017 PFFC saw us head south to Britain's fastest (and probably best)Circuit, Thruxton. 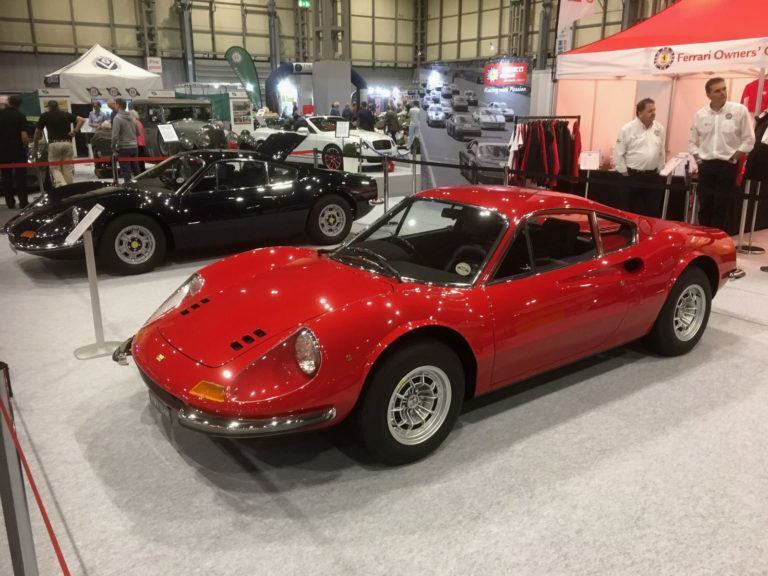 Nick was flying the NCSC flag in his Group 4 328 GTB. 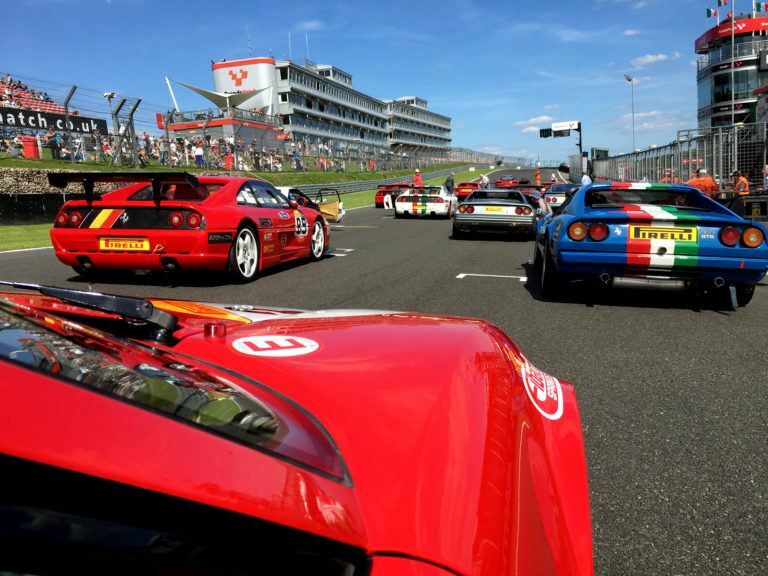 We were treated to a glorious day for the Festival Italia event at Brands Hatch on the 14th of August. 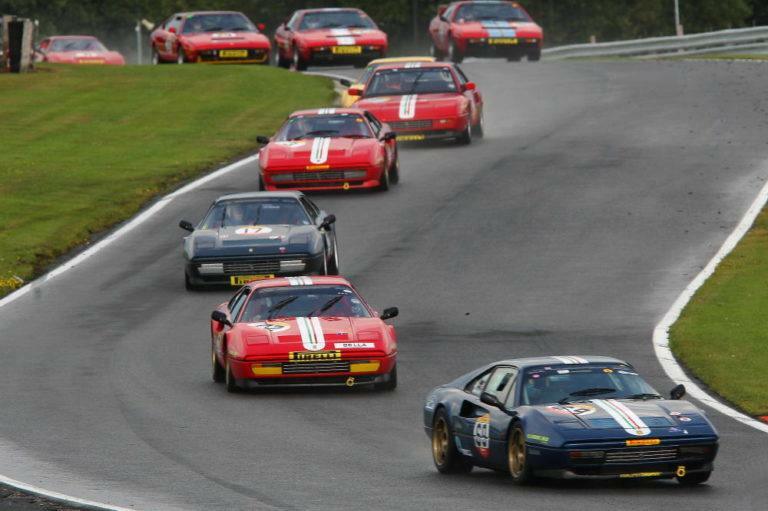 Amongst many of the attractions the event hosted rounds 7 and 8 of the Pirelli Ferrari Formula Classic, the 2nd year the Ferrari owners club have supported the event. The two 20 minute races were run on the Indy circuit which makes for great spectating. An impressive entry of 24 cars were entered for both 20 minute races. 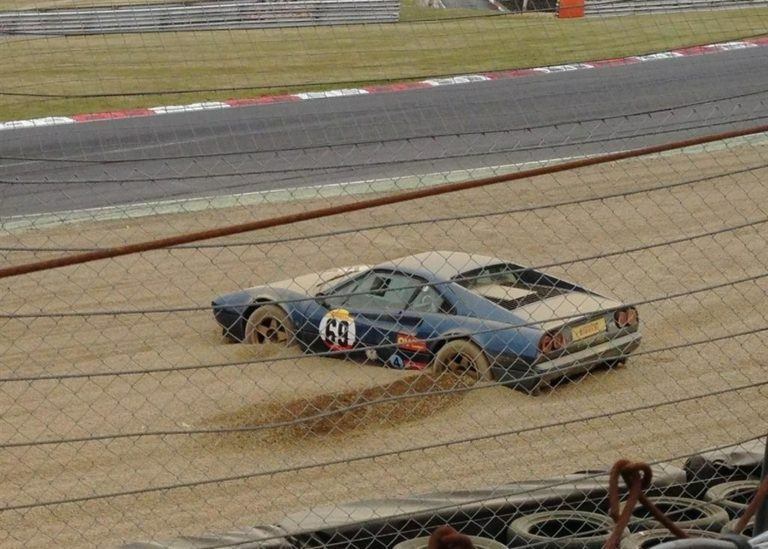 Nick Cartwright was running his 328 GTB in the Group 4 Class. 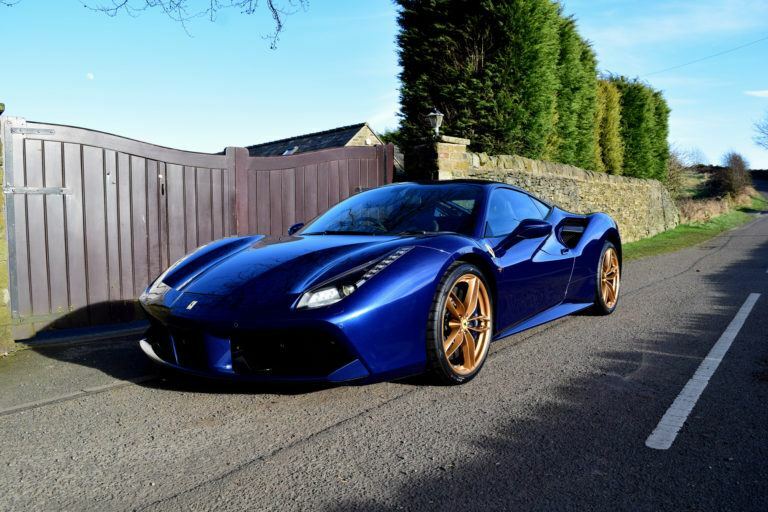 The first 488 GTB to grace our stable. Not for sale. 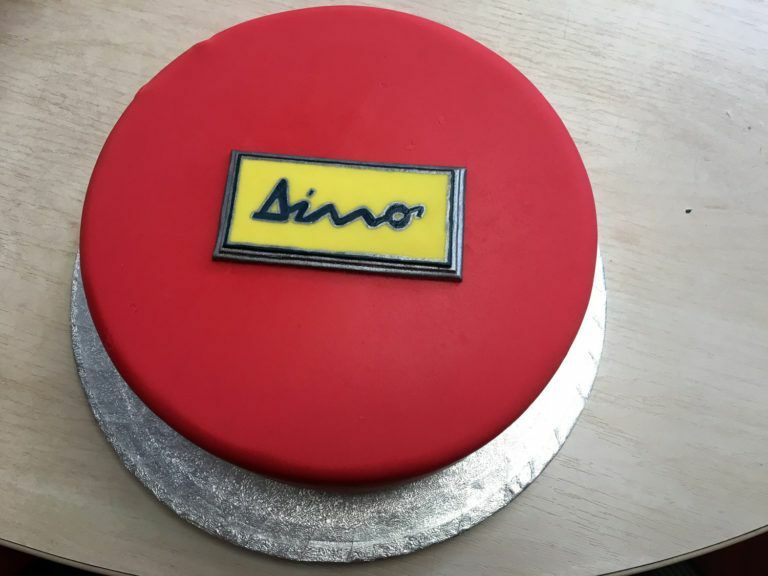 We have enjoyed some outstanding events this year, but the icing on the cake was always going to be the season finale at Passione Ferrari Silverstone. We hoped for a big grid and got it. We hoped for good weather and got it. We hoped for good, close and safe racing with nicely presented cars, and got it. 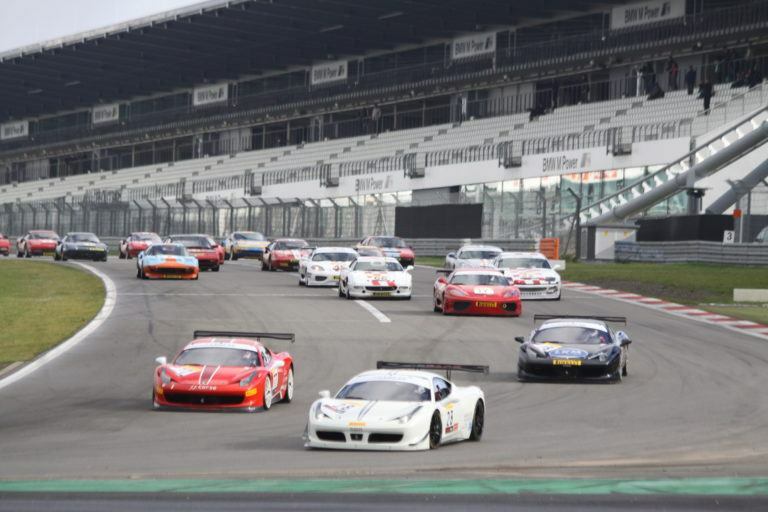 With so many Club members present, not to mention more Ferrari North Europe and Ferrari Italy dignitaries than have ever witnessed our racing series, this was an important week-end. For the third race meeting of 2016 the Pirelli Ferrari formula classic races were held on the full GP circuit at Donington Park. Probably for all the competitors this was a new experience as opportunities to race on the full circuit are hard to come by. 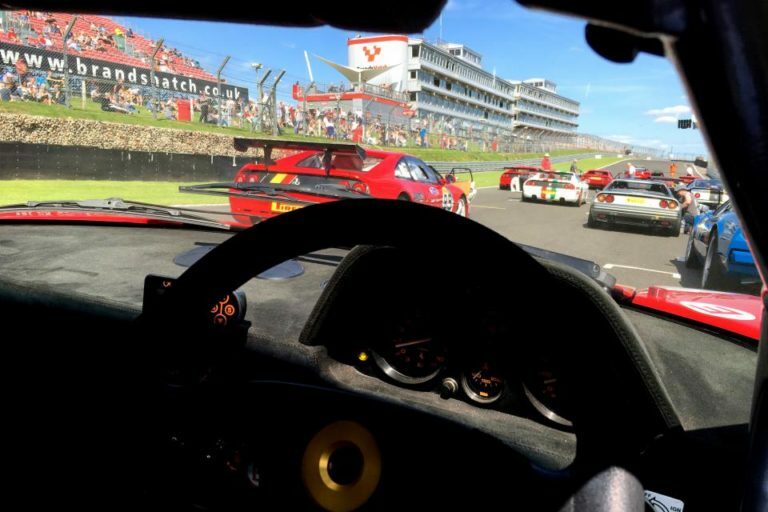 We were able to run on the full circuit as we were part of the Masters race weekend which included their FIA GP and Sports Car races so were able to watch some exceptional classic racing – and there are few better places than the Craner Curves to watch. 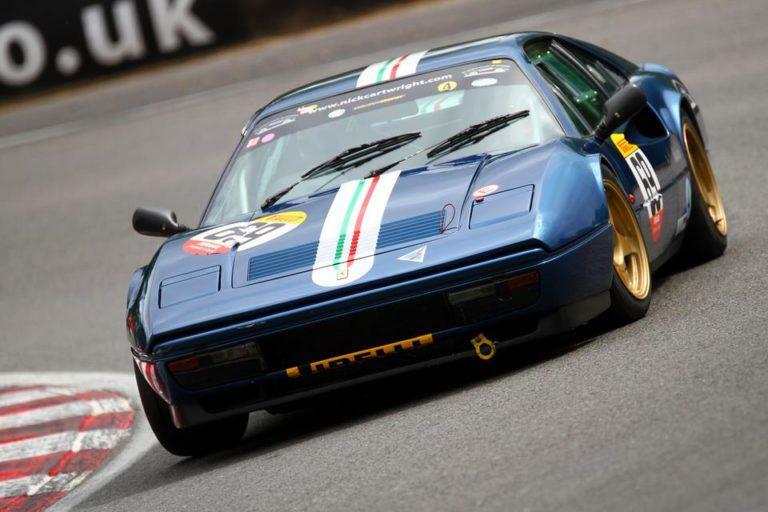 Pirelli Ferrari Formula Classic made its debut at the French circuit Val de Vienne on the 4th and 5th of June. 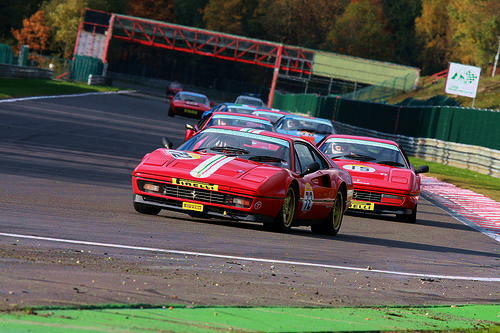 Three races took place over what was a spectacular weekend of racing and huge gathering of classic and modern Ferraris. 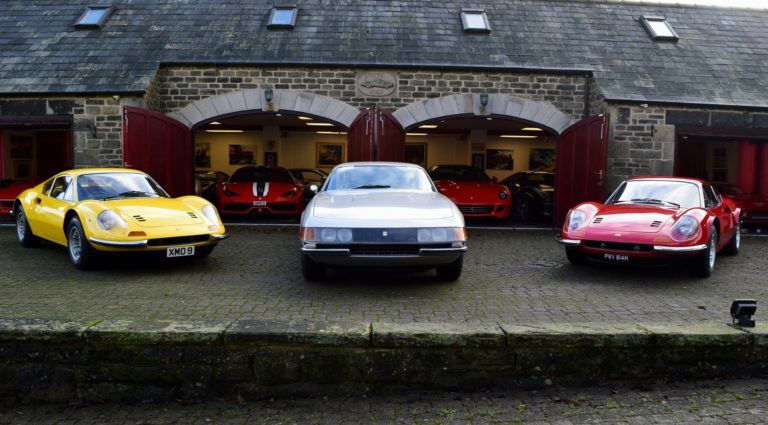 Our three entered 328 GTB's pictured being loaded ready to make the journey. These were possibly the most anticipated races in recent years, as we finally got to see the effect of inviting slightly later cars into our formula classic series. Entry levels were considerably up on last year, and even after last minute withdrawals some 19 cars took to the track for the single qualifying session in bright and warm sunshine. 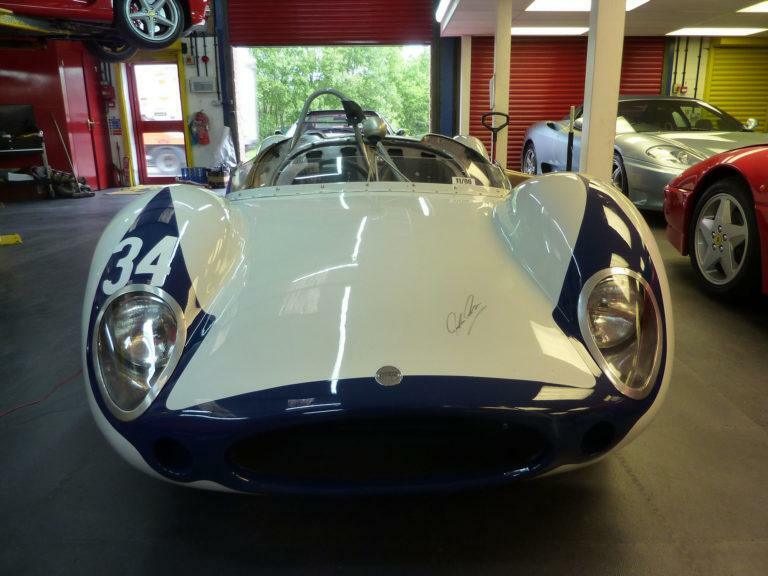 Missing was the shared Kearney/Moulden 355 whose driveshaft came adrift at the last minute. 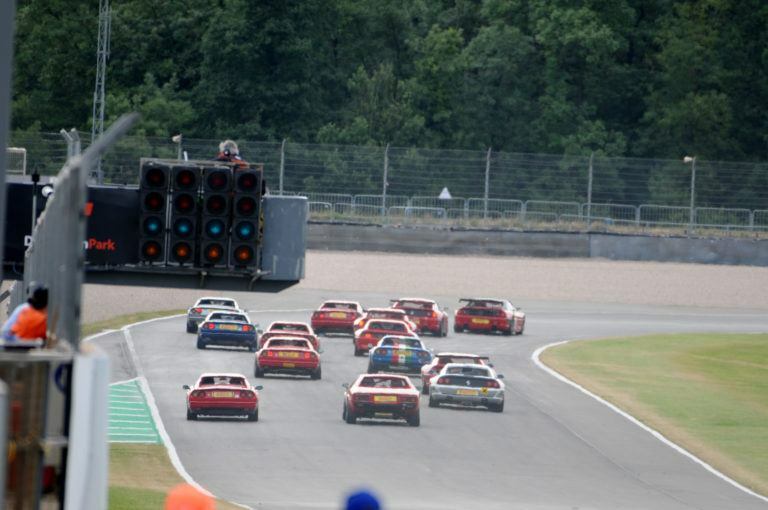 They would start from the back of the grid in both races. Nick Cartwright has been awarded the Italia Trophy for placing runner up in Group 4 after a consistent 2017 season. Gary Culver won overall after an exceptional display of driving all year. We are pleased to announce that Ben Cartwright has successfully qualified for the Ironman world championships in Kona, Hawaii in October 2016. 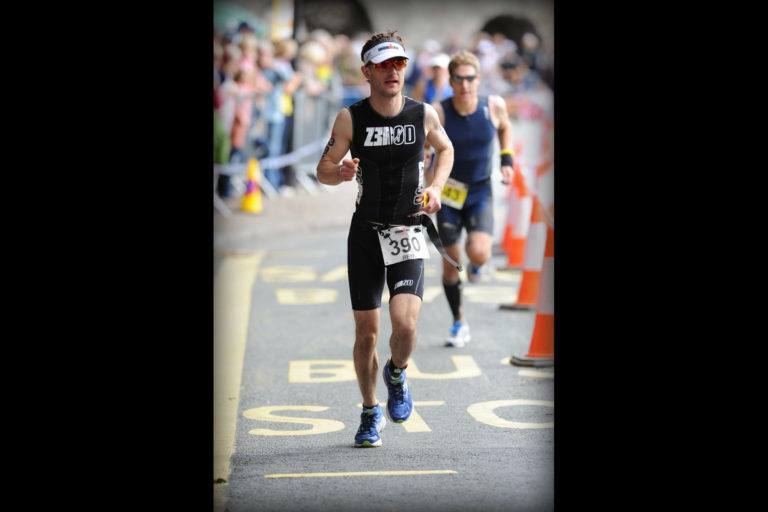 He achieved this on Sunday the 13th of September competing in Ironman Wales, Tenby. He finished 28th overall, 7th in age group and 1st British athlete in age group. There were over 2000 athletes entered, including 40 professionals. 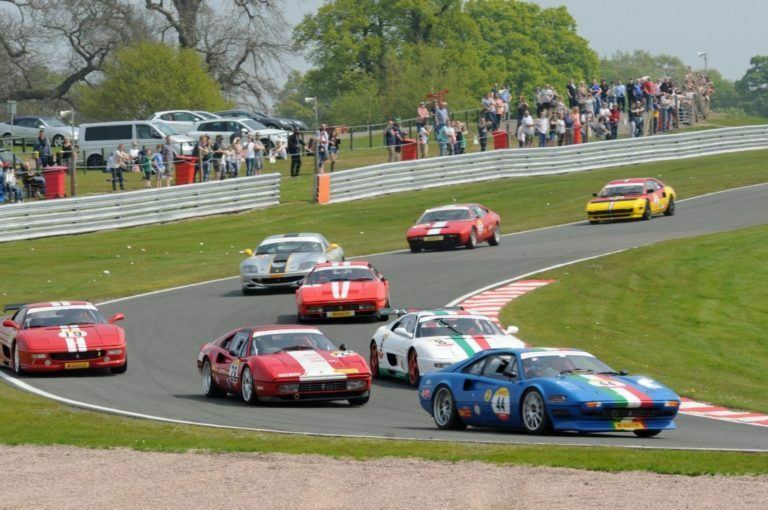 Oulton park 2015 The second and third rounds of the 2015 Pirelli formula classic were to be held at Oulton park in Cheshire. Due to being so busy back in the workshop, for team Cartwright it was the season opener though. In the run up to Ironman Wales in 2013 I envisaged I would be more than content if I managed to complete the race. I would call it a day at that. After nine months of tough continuous training I had experienced so many ups and down. Juggling work, family and triathlon becomes an art but leaves you with little or no time for anything else other than sleep! 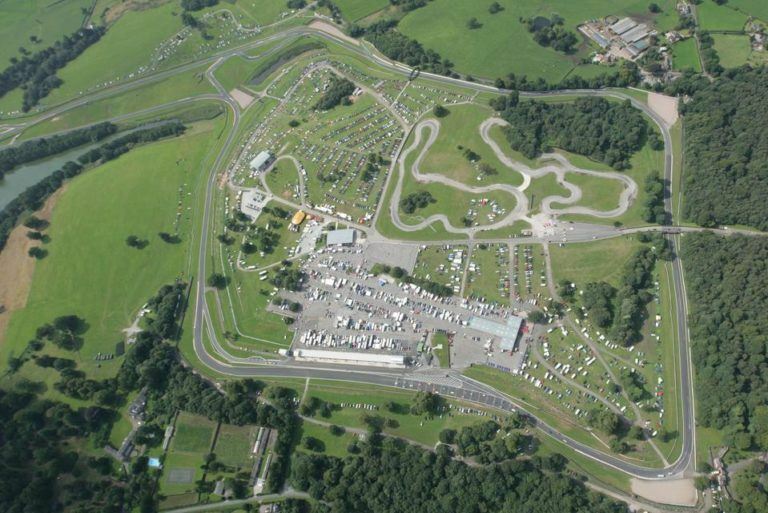 Oulton Park hosted the last race of the season for the Pirelli Ferrari Formula classic series. 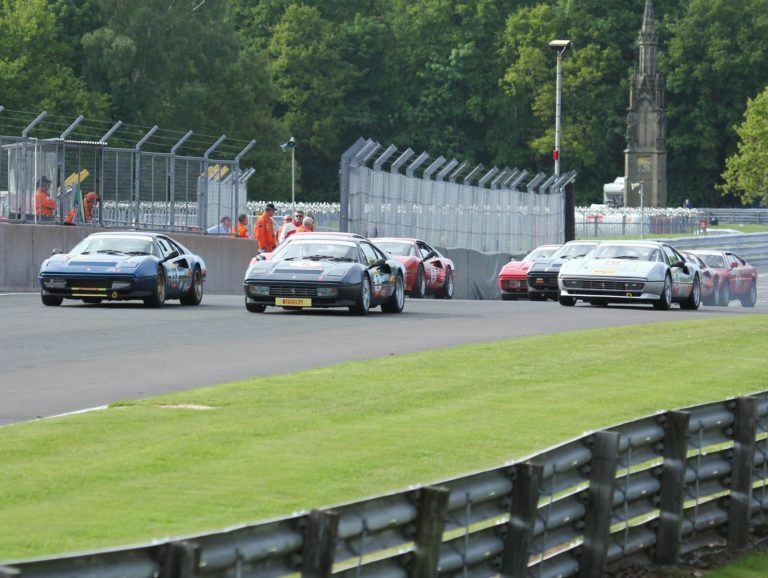 The grid looked a little sparce with only fifteen cars, but a great turnout of front running competitors promised some close racing. 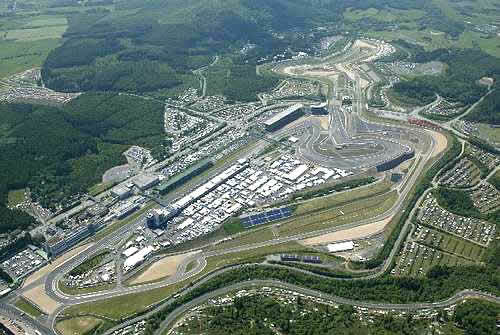 With two qualifying sessions and 2 races on the same day it was a busy schedule ahead. 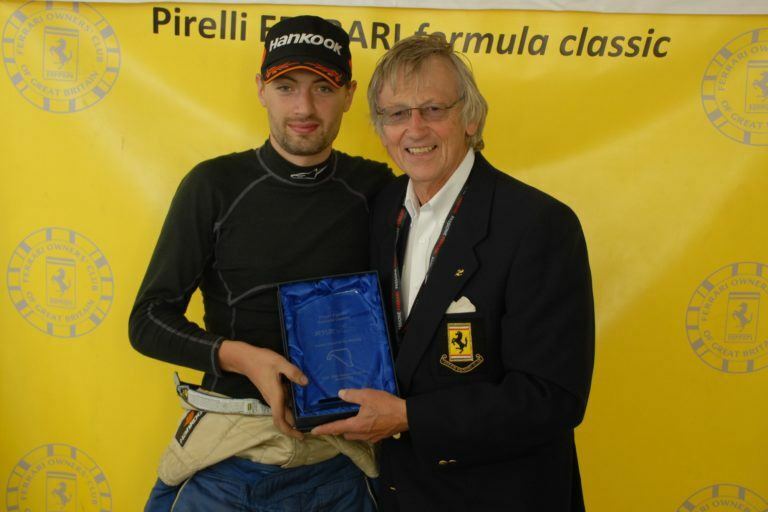 Jamie Cartwrights consistent winning form in 2013 earned him driver of the year overall in the Ferrari Owners Club GB. Report to follow. 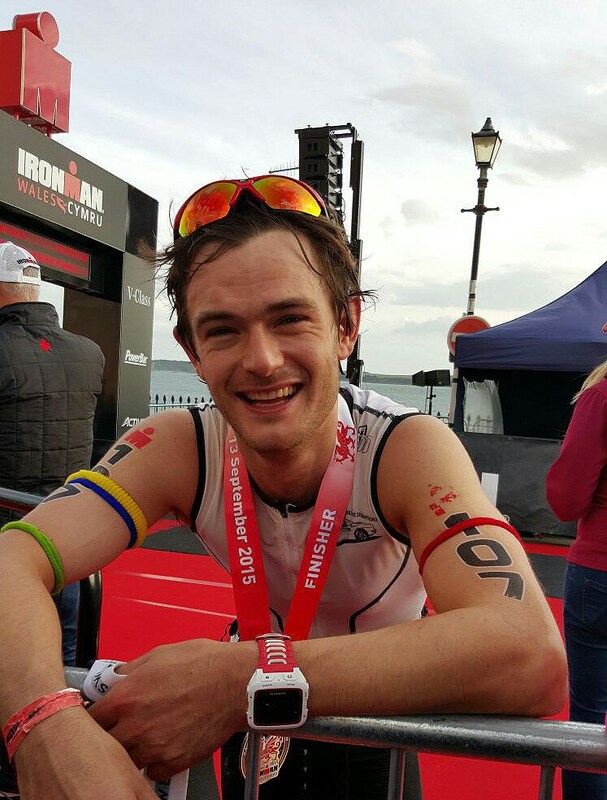 Benjamin Cartwright is pleased to announce that he has successfully completed Ironman Wales in a time of 11 hours and 42 minutes and an overall finishing place of 188 out of 1700 athletes. 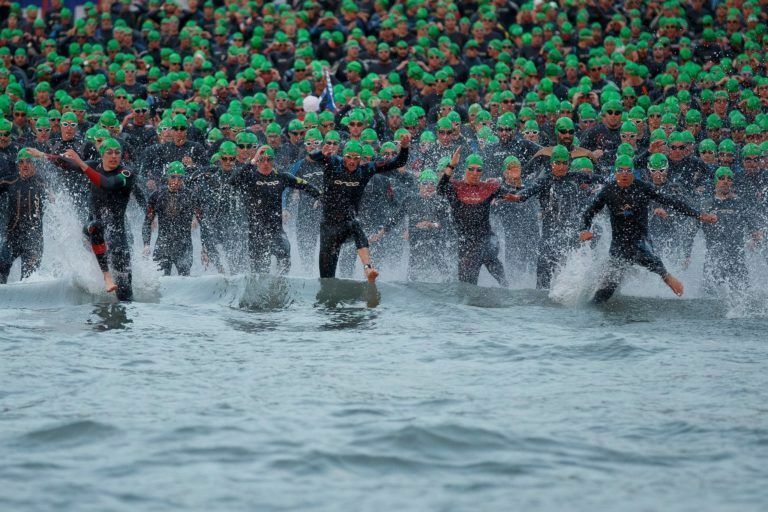 Following the success of the Wimbleball 70.3 Ironman last June and the overwhelming generosity of fundraising, I have decided to take on my biggest challenge yet and face Ironman Wales (Tenby) on September 8th 2013. 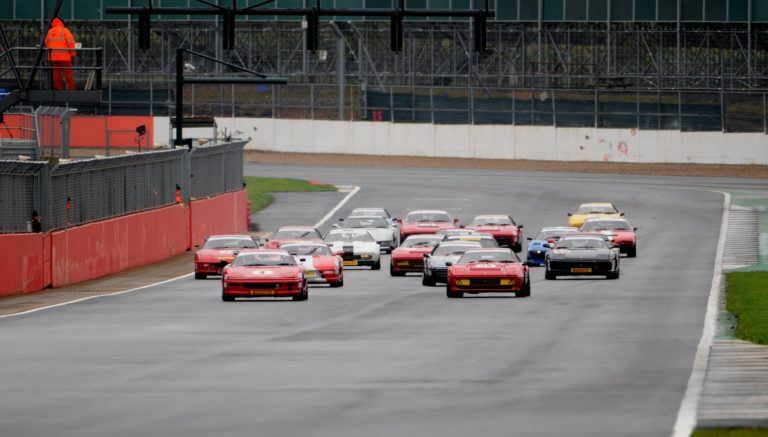 This weekend is round 5 & 6 of the Pirelli Ferrari formula classic at Silverstone and part of the MG live meeting. 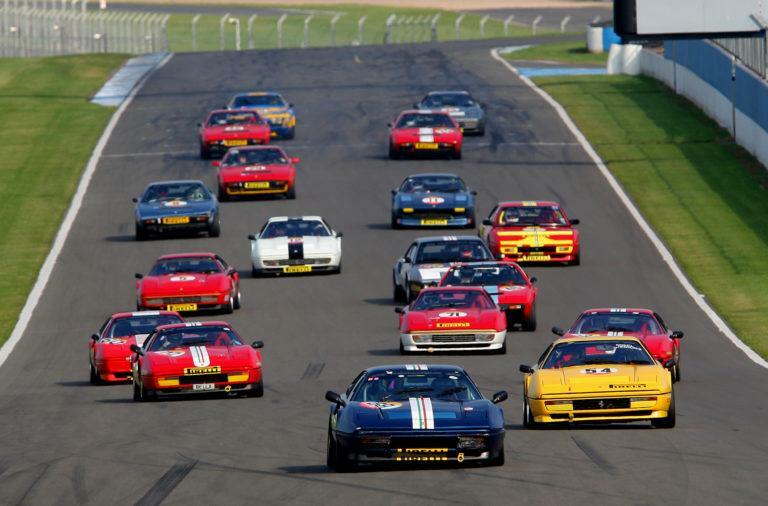 The classic will be running alongside the Pirelli Open so both races will be a rolling start. 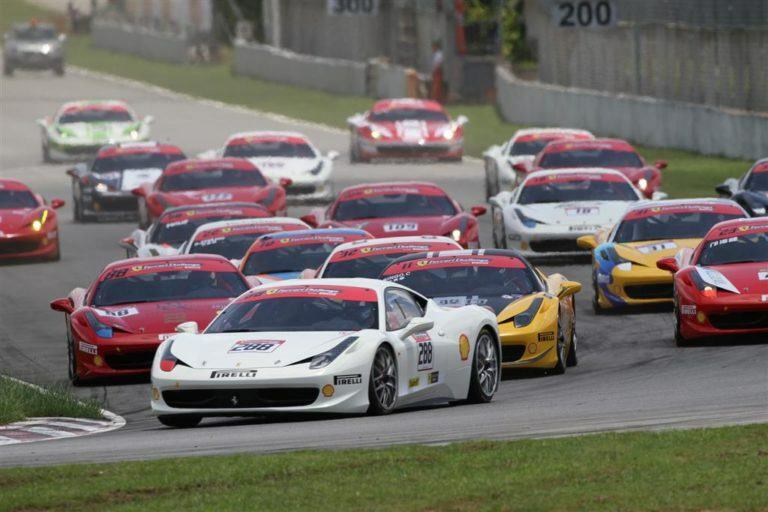 This weekend is rounds 3&4 of the Pirelli Ferrari Formula Classic and Pirelli Ferrari Open series. 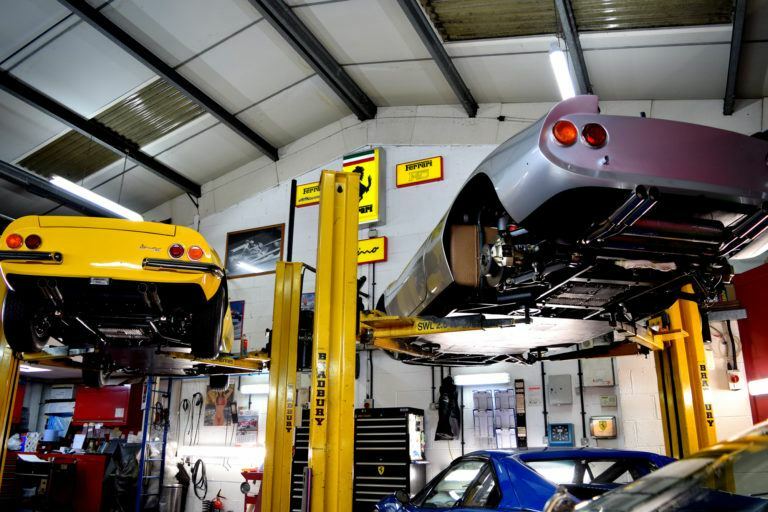 Nick Cartwright Specialist Cars will be out in force running three 328 GTB's and a 308 GTB Fibreglass. 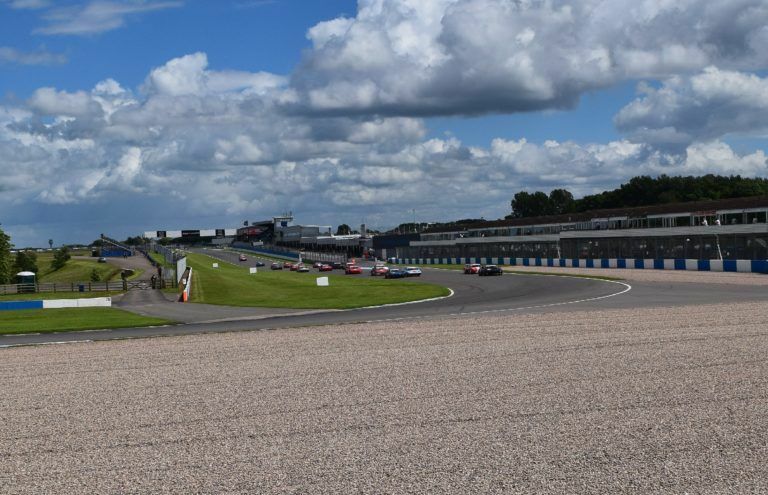 Donington always attracts a strong grid for both series and promises to make for some exiting racing. The Classic races are schedules for 11.30 am and 4.40 pm. Rounds 1&2 VW Racing cup Oulton park Well due to budget reasons and costs we decided to run the golf ourselves at Oulton park for the first meeting of the year. Due to a busy work schedule back at base I couldn't get out to do the Thursday or Friday test like the other drivers, so qualifying was the first time in the car this year. 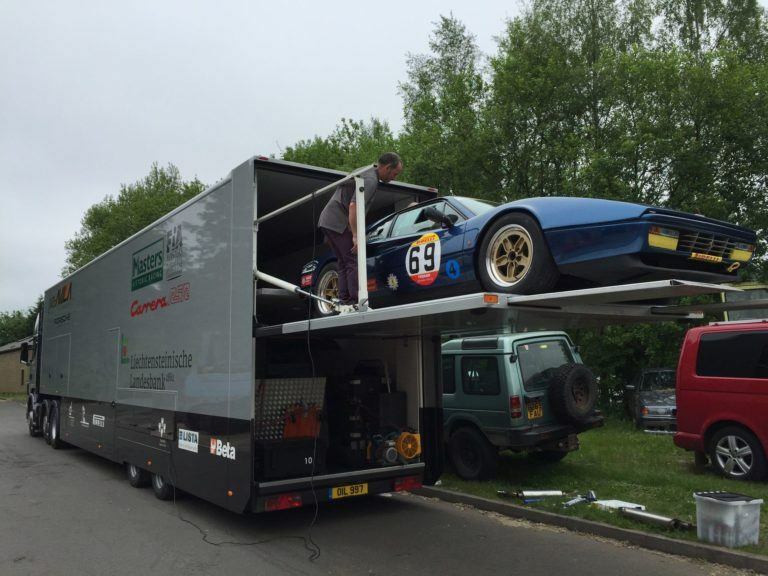 Unable to avoid the temptation of the last round of the Pirelli classic/Open series and first trip to the Nurburgring we decided to make the trip and headed off for the Hull to Zebrugge Ferry. Jamie C decided to retire his car for the last round (giving us all chance) and so it was Nick campaigning for group 4 honours and Ben C for group 3. 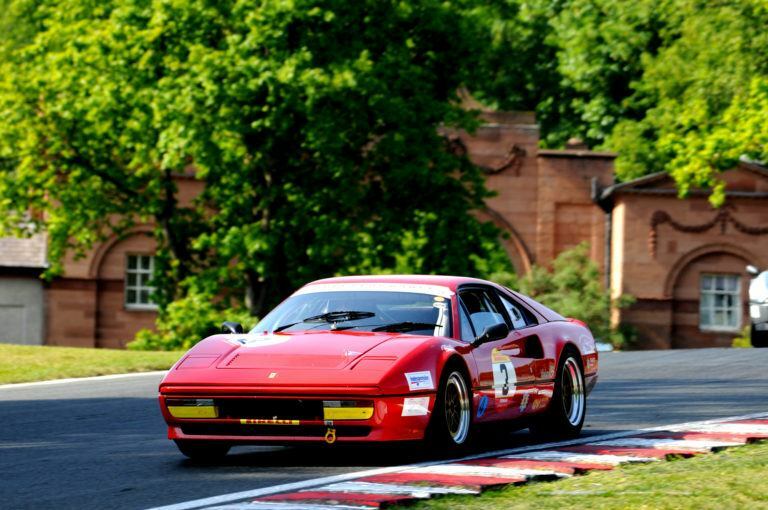 This weekend the Pirelli Ferrari Formula Classic and Pirelli Open will be racing along side each other at the Nurburgring GP circuit in Germany. 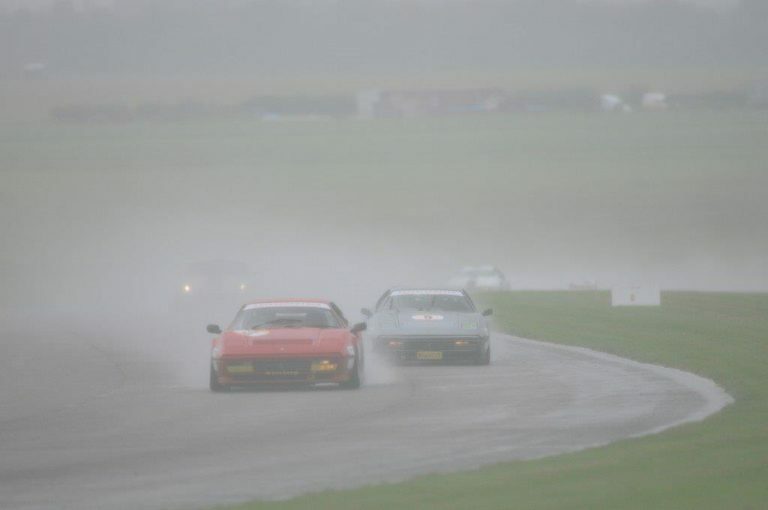 An exciting first venture to the circuit for the two series. 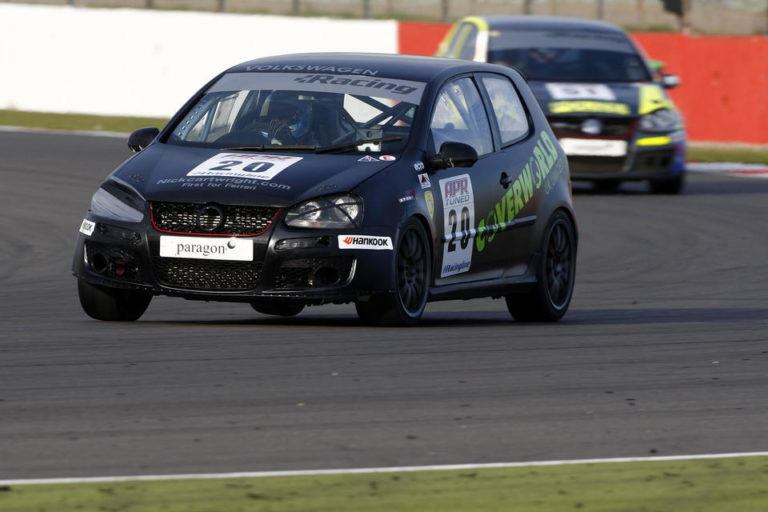 Rounds 13 and 14 of the VW Cup are being hosted at Donington Park this weekend. 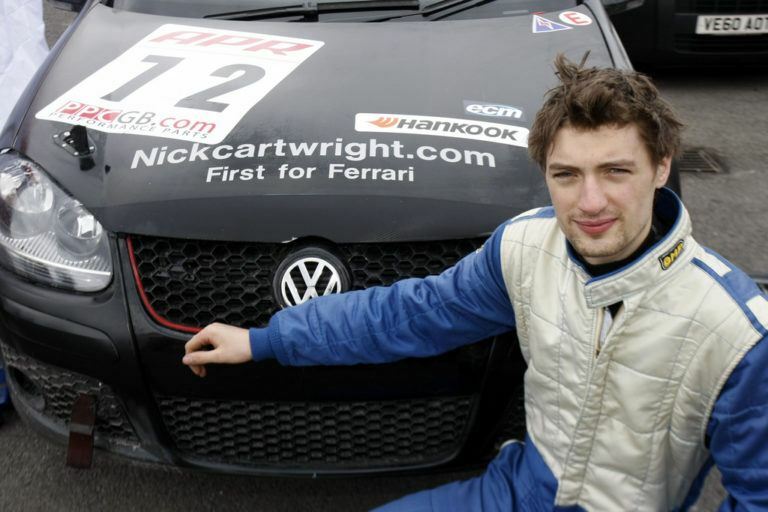 Jamie Cartwright is running his Coverworld sponsored mrk 5 Golf and will be hoping for a good result at his local circuit. 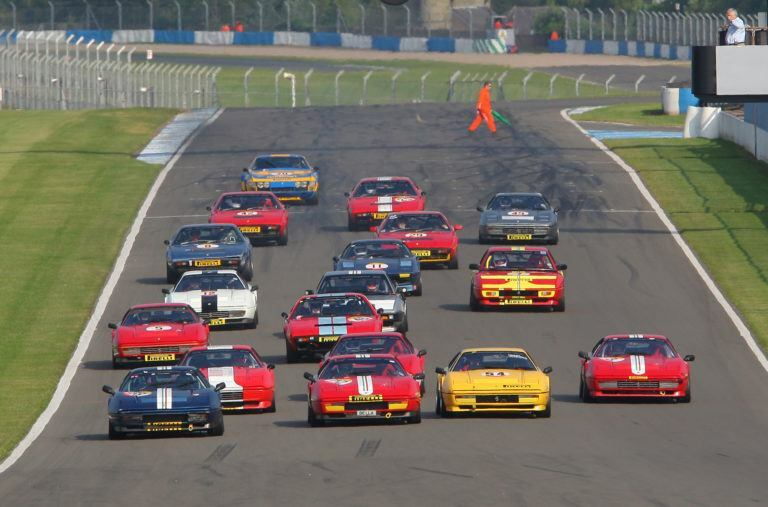 Donington park was host to Rounds 9 & 10 of the Pirelli Ferrari Formula Classic on August 18th. 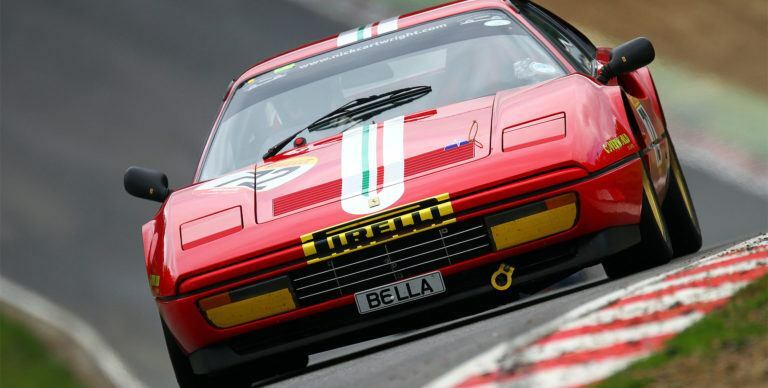 This years Pirelli Ferrari Formula Classic annual pilgrimage to Spa Francorchamps was on the weekend of July 20th/22nd with both Open and Classic series running along side each other. Volkswagen rounds 5&6 Rockingham 10 July 2012. 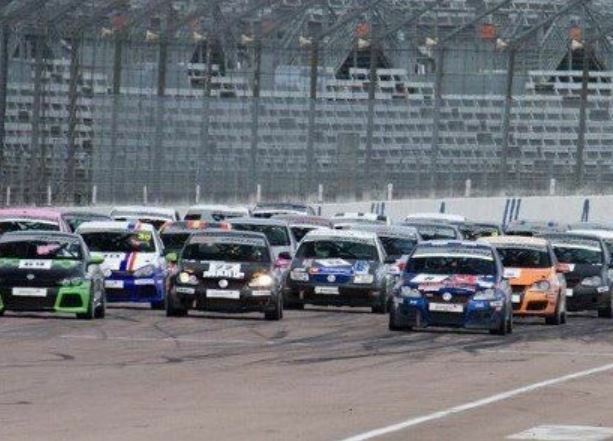 After the success of Jim’s debut weekend at brands hatch it was decided that we would have another go in the Volkswagen racing cup, this time at Rockingham, Northamptonshire for rounds 5&6. 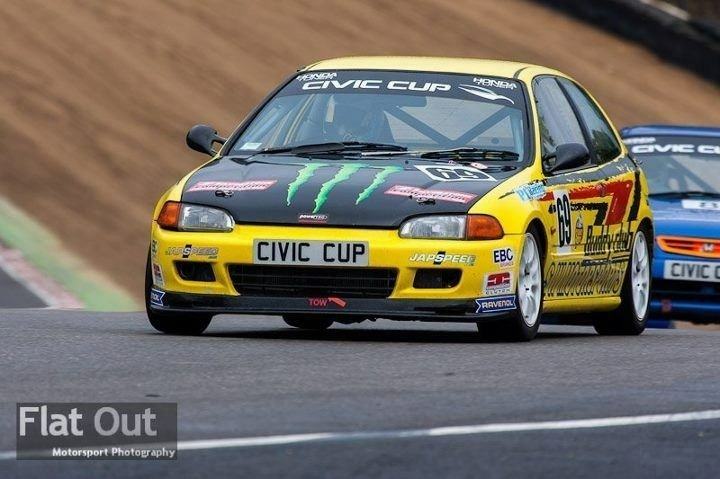 Honda civic racing at Brands Hatch 8th July 2012. When we got a phone call midday Saturday saying there was a drive going in the Honda Civic cup on Sunday we thought we’d give it a go.